Offered For Sale with no onward chain Martin & Co are delighted to offer this bay-fronted detached three bed family home in a most sought after location within Churchdown village. Situated in a quiet residential cul-de-sac the property is ideally positioned for school catchments, local amenities, access to Cheltenham, Gloucester, the M5 and beyond. In brief the property comprises; entrance hall, lounge, W.C. and kitchen/breakfast room with access to enclosed rear garden. Upstairs hosts three double bedrooms with master and second benefitting from built in wardrobes and storage and a family bathroom with shower over the bath. This fabulous family home benefits from driveway parking for multiple vehicles, integral garage, gas central heating and double glazing throughout. *INVESTMENT OPPORTUNITY* Martin & Co are delighted to offer for sale with no onward chain this excellent investment opportunity compromising of both residential and commercial units. Grade II listed and situated in the centre of Gloucester this mid-terraced property has a shop on the ground floor with kitchen and W.C. The first floor has a one bedroom flat comprising of lounge, kitchen, double bedroom and shower room. The second floor offers a further one bedroom duplex flat which comprises of lounge, kitchen and bathroom on the entrance level and bedroom up a further flight of stairs. The three units generate an annual income of £15,000 offering a return of just over 6.5% per annum. 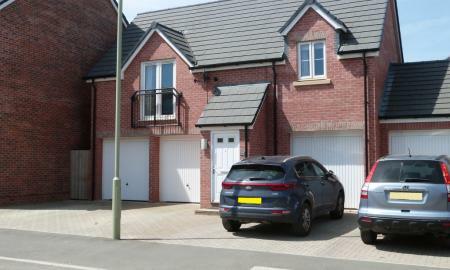 Martin & Co are delighted to offer For Sale this semi-detached three bed family home in the popular Copeland Park development in Tuffley. The property is ideally positioned for school catchments, amenities, access to Gloucester, the M5 and beyond. In brief the property comprises; entrance hall, W.C. lounge and kitchen/breakfast room with access to low maintenance enclosed rear garden. Upstairs hosts three bedrooms, master having an en-suite shower room and all three benefitting from built in storage. There is also a family bathroom with shower over the bath. This family home benefits from a garage and driveway parking, gas central heating and double glazing throughout. 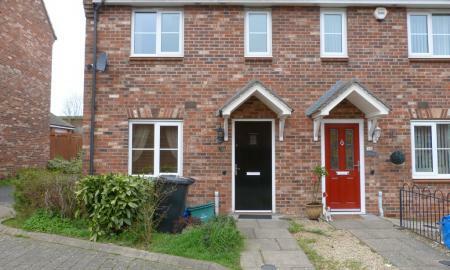 <B>2 BEDROOM PROPERTY IN POPULAR LOCATION WITH NO ONWARD CHAIN</B> Martin & Co are delighted to offer 'For Sale' this 2 bedroom, mid-terraced property with NO ONWARD CHAIN. Within close proximity to local amenities and schools, along with having good motorway access and public transport links, the property is ideally situated. The property briefly comprises of lounge and kitchen with access to rear garden on the ground floor whilst on the first floor is where the 2 bedrooms and shower room can be found. Call Martin & Co TODAY on 01452 528333 to arrange your viewing. *Detached Coach House with a garden! * Available for sale with no onward chain Martin & Co are delighted to offer this immaculately presented, modern two bedroom detached coach house situated in Kingsway. Constructed circa 2014 this fabulous property would be a prefect residence for a first time buyer or investor. In brief the property comprises; entrance hall and stairs leading to landing area with living accommodation off, to include lounge/diner, kitchen, master bedroom, second bedroom and family bathroom. Ideally located for access to the M5 and local amenities the property also benefits from an off road parking space and garage as well being double glazed, has gas central heating and enclosed rear garden. Offered For Sale with no onward chain, Martin & Co are pleased to offer this two bedroom property situated on the ever popular Stroud Road. Located close to local amenities and conveniently placed for access to Gloucester City Centre, Gloucester Quays and historical Docks. In brief the accommodation comprises of entrance hall, two reception rooms and kitchen accessing a lean-to and leading to the enclosed rear garden. Upstairs hosts two double bedrooms and a family bathroom accessed via each bedroom. The property has gas central heating and double glazing. Parking is available on street. 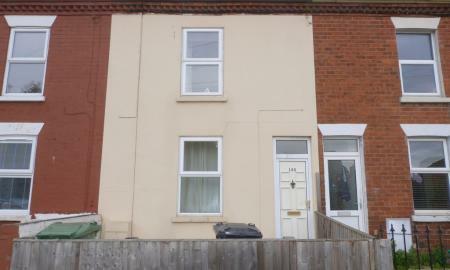 <B>2 BEDROOM HOUSE WITH NO ONWARD CHAIN</B> Martin & Co are pleased to offer 'For Sale' with NO ONWARD CHAIN this 2 bedroom, mid-terraced house in the ever popular setting of Barton, Gloucester. 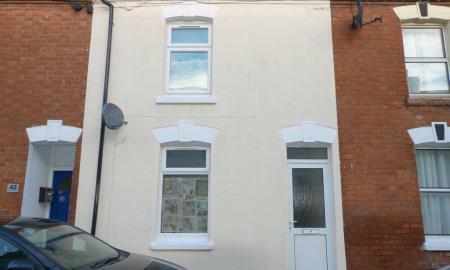 Within close proximity to Gloucester City Centre and local schools, the property is ideally positioned. Accommodation briefly comprising of entrance hall, lounge, sitting room and kitchen on the ground floor whilst on the first floor is where the 2 bedrooms and family bathroom can be found. Call Martin & Co TODAY on 01452 528333 to arrange your viewing. 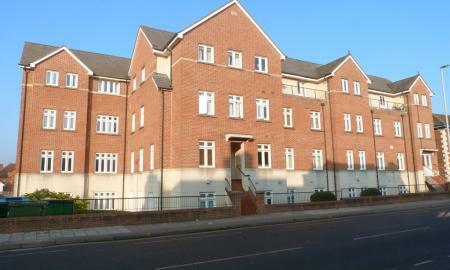 <B>2 Bedroom, First Floor Apartment In Convenient Location</B> Martin & Co are delighted to offer this 2 bedroom apartment 'For Sale' with NO ONWARD CHAIN. Situated on London Road, the property is within walking distance to Gloucester City Centre and Gloucester Quays and has excellent public transport links on it's doorstep. Accommodation briefly comprising of entrance hall, lounge/ diner, kitchen, 2 bedrooms with ensuite to master and family bathroom. 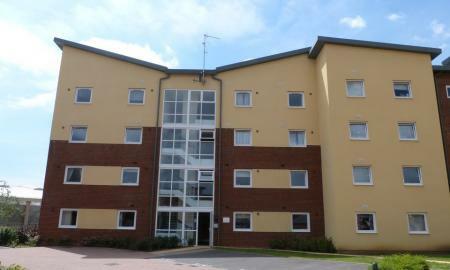 The property further benefits from double glazing throughout, allocated parking space and intercom entry system. 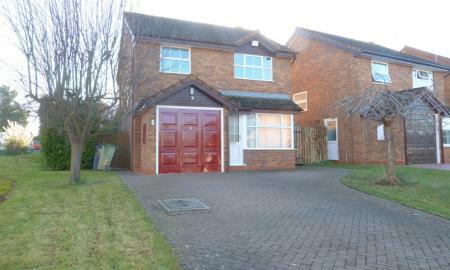 The property makes an ideal investment and can achieve a rental figure of £650.00PCM. Call Martin & Co TODAY on <B>01452 528333</B> to arrange your viewing. 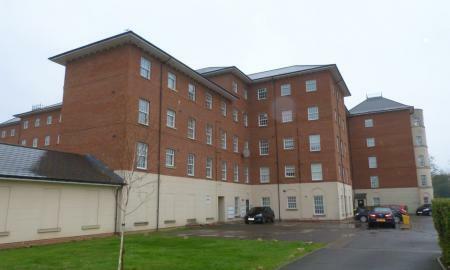 Offered for sale with no onward chain Martin & Co are delighted to offer this spacious and well presented one bedroom apartment located within close proximity to Gloucester Royal Hospital and the city centre. Situated on the second floor the apartment can be reached via lift or stairs and in brief comprises; entrance hall, spacious open plan living/kitchen area, master bedroom and bathroom with shower over the bath. The property benefits a telephone entry system double glazing, gas central heating and allocated parking space. Expected rental income £6600 per annum. ATTENTION INVESTORS! Offered for sale with no onward chain Martin & Co are delighted to offer this modern and well presented one bedroom second floor apartment situated on the ever popular Marketplace development. "The Bradford," a Charles Church built apartment is situated within close proximity of the city centre, St Oswald's retail park and provides convenient access to the M5, Cheltenham and beyond. In brief the apartment comprises; Communal entrance with stairs leading to the second, entrance hall of the apartment, open plan lounge/diner with kitchen off, double bedroom and bathroom with shower over the bath. The property has gas central heating, is double glazed throughout and has an allocated parking space. 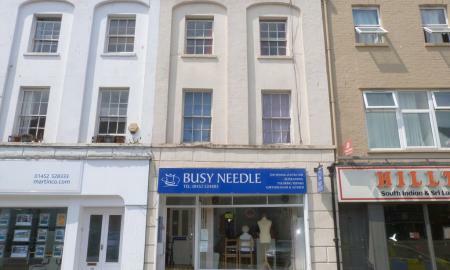 <B>1 Bedroom flat With Potential Tenant In-Situ</B> Martin & Co are pleased to offer for sale with NO ONWARD CHAIN this 1 bedroom flat situated just off of Bristol Road. Located close to local amenities and a short walk to Gloucester Quays, the property is perfectly appointed. 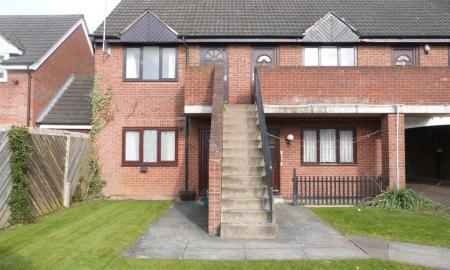 Offered with a tenant in-situ, the property currently achieves a rental income of £425.00PCM. Accommodation briefly comprises of entrance hall, lounge, kitchenette, bedroom and bathroom. Further benefits including secured gated entrance and allocated parking spot. Call Martin & Co TODAY on 01452 528333 to arrange your viewing.